Entrepreneurs : how to prepare the entry of a Corporate to your capital ? We often see articles dealing with how to attract new investors into its startup. It is rarer to read tips on how to choose investors that match their goals and how their business works. Yet it is one of the most important issues for successful fundraising, especially when it is a corporate investor. Bringing a corporate into the capital of a startup is nothing trivial. This one will likely have a seat on the board and will have to understand your strategy and vision of your company in the medium-long term while being able to give a critical opinion. For example, corporates put a lot of emphasis on the smart money aspect as well as the network they can put at your disposal in order to accelerate the development of your business. We have prepared a list of important questions to be asked in order to ensure that the partnership is built on a good basis and to avoid possible disappointments. By investing in your startup, what is the purpose of Corporate ? This is one of the first issues to be discussed and one of the most important. This will allow you to check the alignment of your interests with those of the Corporate. Is the company’s objective solely financial or does it include strategic components in terms of standby, acculturation of operational teams to the startup ecosystem? What can corporates bring to your business in addition to the money they want to invest ? Product Validation: Does the company want to take part in the test of your product? Can it make available to you data and relevant information to improve your product? Marketing/Distribution: Can the company bring you opportunities for commercial contracts as a customer, partner or distributor? Potential synergies of R & D: Does the company have a technological expertise that can be used to develop your product or service? brand Image : Does the company that wants to invest in your startup have a reputation and a brand image that will reassure your customers and your partners? Who will be your main contact in the company ? This is one of the key factors in the success of future collaboration with a corporate. This interlocutor will be your gateway to the management of the company and the operational teams. It will play the role of interface in order to reconcile your interests and those of the group. How will the exchanges with the operations be articulated, and is there a wall of China between the investment teams and the operational teams? The ideal is to have a single interlocutor (or a group of interlocutors) who is responsible for the connections between the startups invested and the operations of the company. The problems and objectives of the investors and the operational ones are different and the modes of collaboration are also the same. 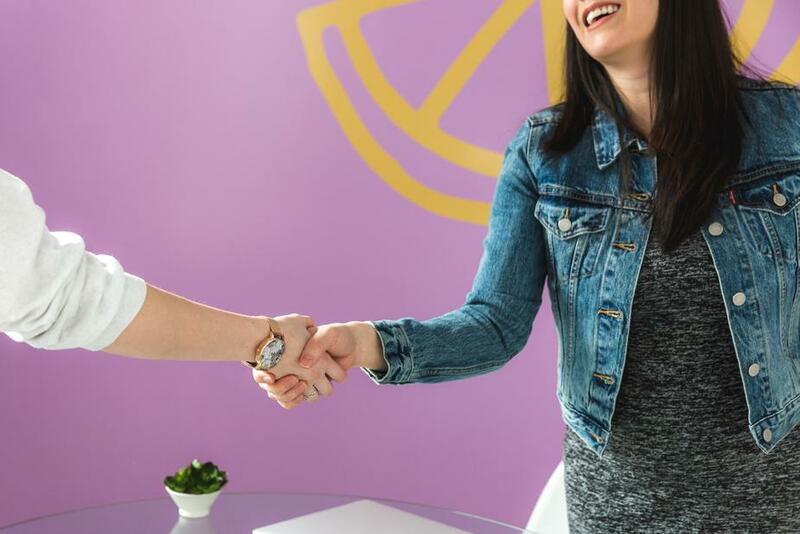 These interactions must be based on a win-win relationship and your startup should not be used as a “showcase” for the company’s innovative culture. Your time is precious, the goal is also to avoid that you spend your time explaining your concept to all operational entities. Are they already invested in a competing company in your market? If the company is invested in a competing company or operating in a market adjacent to your business, make sure that there will be no conflict of interest at the company level. Does it require specific exit conditions? In order to maintain your freedom of action and the agility of your structure, be vigilant as to the clauses that the investor might include in the shareholder pact. It is preferable to avoid redemption and pre-emption clauses. Will they be able to follow the next round if your startup needs additional resources? This is a good way to know the involvement of the Corporate in the development of your startup as well as the freedom of action of the investment teams. What envelope does it have? Can it be reduced or eliminated in the event of a crisis or a period of uncertainty? Who makes investment and re-investment decisions? Is the Corporate satisfied with the collaboration with the startups in which it is currently invested? If that is the case, what were the main factors in this success? And if that is not the case, why has the relationship not been fruitful? These questions, in addition to providing you with a complementary vision of corporate objectives, can also allow you to feed on the experiences of entrepreneurs who have followed the same route. These issues can make the investment process by a corporate a little longer than that of a conventional fund whose concerns are essentially financial. However, it is important not to rush because the relationship that is tied upstream of the investment is significant: it will determine how it can evolve later in order to be a real springboard to the development of your business. This is one of the reasons why it is essential to set the main axes of collaboration in writing in order to have a basis on which to work. The challenge is also to be able to ensure continuity in the event of a change of contact during the investment period. Finally, the ideal is to count several investors, whether corporate or investment funds, in order to avoid being absorbed by an actor who wants to invest in your startup. You will benefit from a diversity of viewpoints that can only be beneficial to the development of your company. To go further, you can also read our article on The good practices of the Corporate Venture. Corporate Venture Capital vs. Venture Capital, what’s the difference? Why create a Corporate Venture fund? Attend the next Techmind Café in September ! Techmind is re-inventing tech investment consulting by supporting corporates, funds private investors to identify high potential startups, execute the dealss and manage their startups portfolio. Our Venture capital as a Service proposal allows our clients to setup their own tech investment strategy. Our team is based in France (Paris and Nice). If you are an entrepreneur, and if you are looking for investors to support your growth, tell us about your project. For any other purpose, send us a message and will get in touch with you.